Danny Valencia, 50, 08/08/2012, Scottsdale, AZ. 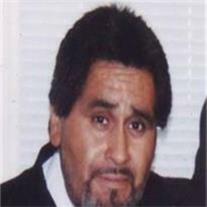 He is survived by his soul mate Irene Carrizosa, 5 children, 11 grandchildren, 3 brothers and 2 sisters. Visitation will be held from 6-10pm, Monday, August 13, 2012 at Memorial Hall 9849 E. Earll Dr, Scottsdale AZ 85256. Funeral with a burial following will take place at 8AM, Tuesday, August 14, 2012 at Memorial Hall. Arrangements by Bunker’s Garden Chapel.